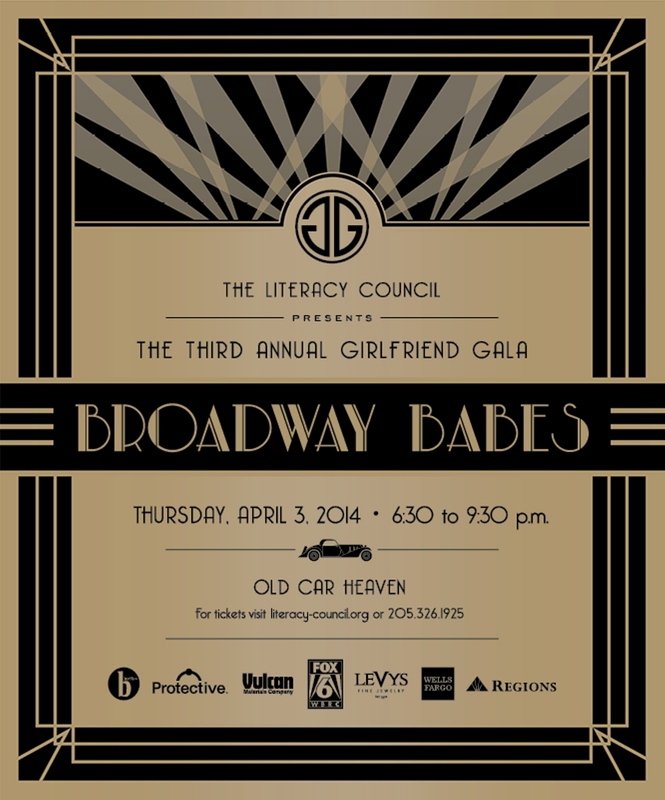 The Literacy Council’s third annual Girlfriend Gala will be April 3, 6:30 p.m. at Old Car Heaven. Fabulous raffle prizes, a diamond giveaway sponsored by Levy’s Fine Jewelry, and a few surprises make it the perfect ladies’ night out. celebrating this year’s theme Broadway Babes! Girlfriend Gala is a celebration of women and friendships that raises funds to support The Literacy Council. For more information and to purchase tickets or a table for you and your girlfriends, contact Missy Burchart at 205-326-1925 or mburchart@literacy-council.org.